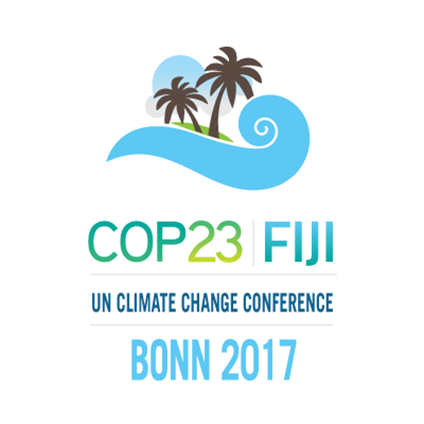 This year’s global Conference of the Parties of the UN Framework Convention on Climate Change (‘COP23’) will take place in Bonn, Germany, from 6 – 17 November. While it is the second COP focused on implementation of the historic Paris Agreement (PA), it also serves a significant political function: it will mark the starting point of a year-long process towards the key and so-called Facilitative Dialogue at COP24 in 2018. The intergovernmental community will aim to use the event platform to raise the ambition of countries’ nationally determined contributions (NDCs). Currently the level of ambition of all NDCs falls significantly short – by an estimated annual gap in 2030 of 12 GtCO2e – to steer the world onto a 2-degrees, ‘climate-safe’ pathway. Persisting non-state calls, as well as commitments, to climate action – including from the financial community – can play a powerful signaling role in ratcheting up ambition. The transformation of the global economy towards the objectives of the Paris Agreement entails a major transition, the costs and benefits of which will depend on the way in which the financial system and the real economy anticipate and encourage the shift. At the invitation of the German Government, UNEP FI will present to the COP audience its experiences with two key initiatives that are to minimise the risks and maximise the opportunities of climate action – the Task Force on Climate-Related Financial Disclosures pilot project and the energy efficiency finance work. Bridging Climate Ambition and Finance Gaps: UN Climate Press Release on high-level segments of Finance Day, and what needs to be done next by governments, cities, states, business and multilateral institutions to secure the pace and scale of investment required, before and after 2020, to meet the Paris goal of keeping the average global temperature rise well below 2 degrees Celsius and as close as possible to 1.5 Celsius. Read here. The panel will look at the supply of climate finance, and will showcase governments, companies and financial institutions that are leading the way in delivering successful climate financing solutions and evolving their governance and business models to address the opportunities and risks created by climate change. The event will showcase how investors and the finance sector are changing their own practices, and working with companies and governments, to deliver the Paris Agreement and accelerate the low-carbon transition. It will feature concrete examples of investor action across a range of activities, including investor practices, disclosure, engagement with companies, and policy. Co-convened by UN Environment, the International Monetary Fund (IMF), the World Bank, and the UN Development Programme, the focus of this event will be how public and private finance can best blend for implementation of the NDCs. Or in other words: how finance ministries, financial regulators, and development banks can help shift private markets and private financial flows into alignment with climate goals. The event is open to all UNEP FI members, otherwise participation is by invitation only. If you wish to attend, please email Martin Schoenberg, Energy Efficiency Project Coordinator, at martin.schoenberg (at) un.org. The event will discuss the potentials and promise of the TCFD recommendations to fully integrate climate factors into financial decision-making by companies, lenders, investors, and their ultimate depositors and beneficiaries. Download more information here. Read the press release here. For more information on all these events, please contact us on climate@unepfi.org. The Sustainable Stock Exchanges is convening a high-level dialogue on Green Finance. In the morning of this full-day event CEOs and government officials will discuss the challenges and opportunities of green finance. Following a networking lunch, the afternoon will feature four technical workshops where international experts will be on hand to share the latest state of the art in green finance. For more information and to register click here.